A property management and development company committed to providing outstanding spaces and service. Hajjar Management manages, and develops affordable, quality, residential and commercial spaces across New England and beyond. From apartments and retail centers to offices and industrial spaces, we offer well-maintained and environmentally-friendly properties with a seamless rental experience. Providing unsurpassed personal service and spaces that satisfy our clients’ wants and needs is paramount. In business for over 25 years, we have built a high-quality residential portfolio that ranges from charming brownstones and affordable retirement communities, to luxury new-construction with extensive amenities. No matter what the setting, each and every property is supported by a dedicated and attentive management team. Every business has its own unique real estate requirements. That is why we have assembled a diversified inventory of retail, office and industrial properties. From global brands and tech start-ups to small, boutique shops, we help organizations find and define spaces that meet their needs. Our exceptional service began over 25 years ago with the management of two apartment buildings in Boston, MA. 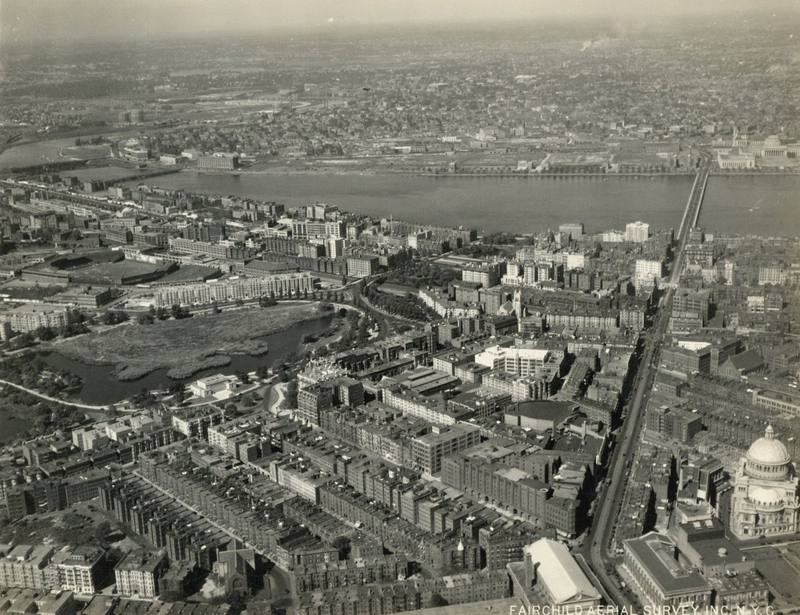 From day one, our founder, Charles Hajjar, worked diligently to provide top-notch service in a small basement office near Boston’s Fenway Park. He understood how important day-to-day management was to developing a thriving property and satisfied customers. This commitment has been the hallmark of the company’s success. The office quickly grew, and is now headquartered in Milton, MA with a busy team of 15 professionals. We also have satellite offices in North Providence, RI and Middletown, CT with dozens of field employees covering six states. Like our clients, we treat our staff as valuable members of an important team, providing an environment for them to prosper and grow. Since his first investment purchase in 1985, Charles Hajjar has developed a diverse portfolio of over two million square-feet and 100+ properties in six states. This includes dozens of retail centers and over 1,000 apartments, as well as many condominiums, office buildings, industrial properties, and six highly-successful hotels. These accomplishments led to his appointment on the board of the Rental Housing Association of Boston. In addition to his work, Charles gives his time to St. Jude Children’s Research Hospital, where he is a national board member, and has been chairman or vice chairman of several committees, including the hospital’s compensation committee, building committee, finance committee and investment committee. Charles earned his B.S. from Babson College in 1986, with double majors in investments and finance. As COO, Paul Mahoney oversees all Hajjar Management‘s internal and external operations. He is also a licensed Massachusetts real estate broker and developer. Prior to joining the company in 2002, Paul served in the high-tech industry as a marketing director, director of product management, and vice president of business development. He received his B.A. from Boston College and his M.B.A from Salem State University. Paul lives with his wife and two children in the Boston area. Joseph E. Olbrys, Esquire, General Counsel of Hajjar Management Company, Inc., joined the company in April 2011. He has a B.S. in Political Science from Stonehill College and J.D. from New England Law. Member of the Massachusetts Bar since November of 1983. Joseph is responsible for all legal matters of the company and its related entities including acquisitions, sales, financing, leasing matters, litigation, corporate governance and legal and business consultation. Joseph came to Hajjar from a private practice partnership with previous experience firm and corporate positions including Real Estate Counsel for a national corporate entity responsible for all of its leasehold offices. Carpentry, travel and photography are outside pastimes. Georgia is responsible for all finance and administration operations. She has an M.B.A. from Boston University and over 20 years’ experience in finance. Before joining the company in 2016, Georgia held the position of assistant director of planning and administration for university advancement at Tufts University. Prior to that position, Georgia served as assistant residential controller for another property management company in Boston, General Investment & Development. Georgia has her M.B.A from Boston University and her B.S. from the University of Massachusetts. In her spare time, Georgia enjoys spending time with friends and family, traveling, and trying out new restaurants. Rachel handles the management of Hajjar’s commercial properties, works intensively within the property database, and performs other organizational and analytical tasks. With the company since 2004, Rachel brings many years of experience in both real estate and the non-profit sector. She has a B.A. from the University of Rochester, and is an avid reader, distance runner, and accomplished baker. As director of hotels, Anne oversees the boutique hotels in Martha’s Vineyard and Newport, Rhode Island. She works closely with the hotel managers and management company to ensure the properties are running smoothly. She is also responsible for scouting new locations for future projects. Anne also manages the rentals in St Bart’s for Villa Avalon. She received her B.A. and M.Ed. from the University of Massachusetts, and has served on the Board of Trustees for Boston College High School. Anne is also involved in several charities, and has chaired a gala for St. Jude Children’s Research Hospital for over 20 years which has raised over ten million dollars. David directs our facilities management team. His responsibilities encompass all facets of property management including construction, maintenance and physical plant management. He works closely with all property management employees to cultivate the highest quality work for our tenants. He conducts all seasonal planning and works with outside vendors to deliver building support services. He brings to Hajjar Management over 20 years of experience in commercial and residential property management. When he is not at work, he enjoys spending time with his kids and following Boston sports teams. He is a graduate of Boston University. Mike oversees the leasing of all Hajjar Management‘s residential properties, working directly with the property managers and real estate brokerages in each location. Prior to joining the company in 2017, he worked as a real estate broker in the Greater Boston Area for 12 years specializing in apartment rentals. Mike attended Berklee College of Music, majoring in Music Production and Engineering. After business hours, you may even see Mike performing in local music venues. Tom oversees the management of Hajjar’s Connecticut real estate portfolio. Prior to joining Hajjar Management in 2017, Tom spent 30 years as the director of real estate for MiddleOak Insurance, handling their properties in Middletown, Connecticut and Salem, Massachusetts. He is a graduate of Fairfield University with a B.S. in Finance. Tom, who is the father of three grown children, lives in Glastonbury, Connecticut with his wife and their golden retriever. His hobbies include saltwater fishing on his kayak, golf, and cheering on the Red Sox, Bruins, and Patriots.